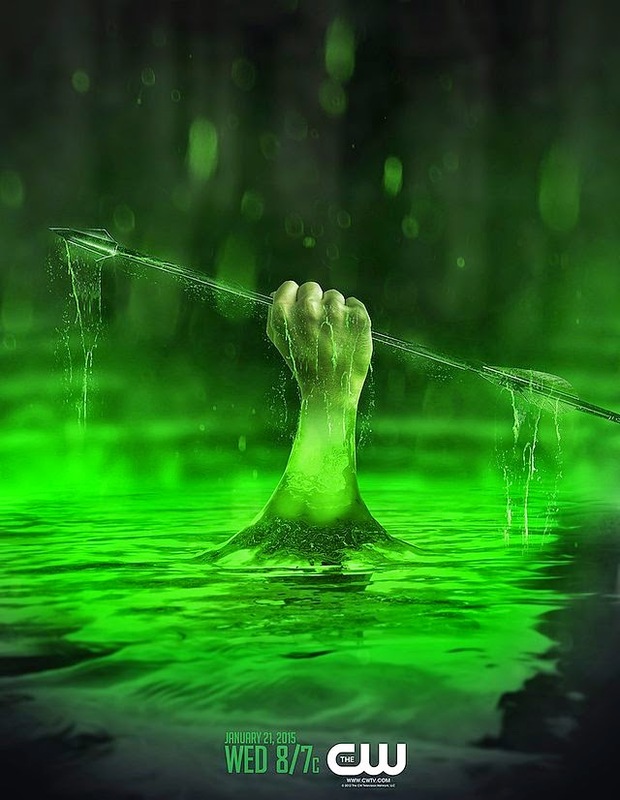 Notes and Nerds: Oliver Queen Dips in the Lazarus Pit? Oliver Queen Dips in the Lazarus Pit? If you haven't seen the Mid-Season Finale of CW's Arrow, then you may find this a bit "spoiler-ish". You have been warned! The mid-season finale of Arrow was intense! Ollie faced off against Ra's Al Ghul and lost. Boy did he lose. He was basically skewered, then dumped over the side of the cliff! Oliver Queen must be dead. How in the world could he possibly have survived that? Well, MoviePilot.com, and ComicBook.com are going crazy over the speculation that the imfamous Lazarus Pit could come into play when the season kicks back off January 21st, 2015. And, their theories make a LOT of sense. The post that you see here is not an official post released by the CW, but rather a VERY well made fan made poster depicting their speculation of what to expect when Arrow returns. 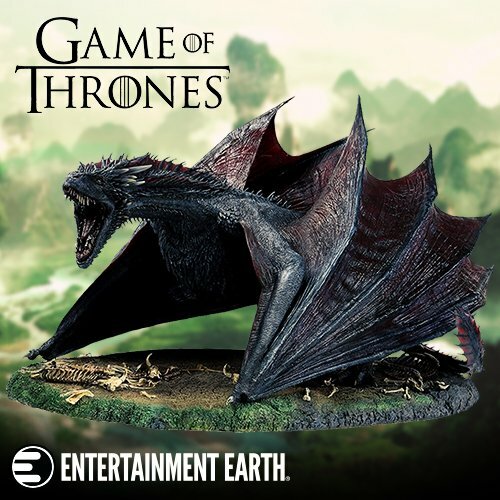 Personally, CW should just pay the individual, and use it. The Lazarus Pit makes perfect sense to be introduced to the DCTV universe. The reason it makes sense is that it is a literal "cure all" for being injured, or dead, in the DC universe. Ra's Al Ghul uses them on a very regular basis to maintain his long lasting life beyond that of "mere mortals". When you take into consideration Ra's statements prior to Oliver and him facing off, not killing a man in Trial by Combat in 67 years, you really start to think he has a pretty hefty trick up his sleeves. I also think that the Lazarus Pit may have already been "introduced" in synthetic form, and we just don't know it...Mirakuru. Yes, I am stretching here, but the Lazarus Pit gives its user extended life, and sometimes enhanced abilities. Perhaps the Japanese were attempting to recreate the elixir but ultimately did not succeed in perfecting the chemicals that make up the Lazarus Pits. The question, however, is how does Oliver Queen become exposed? Easy answer. Maseo Yamashiro, Oliver's handler in Honk Kong, and the man that is now a member of Ra's Al Ghul's League of Assassins. He takes pity on Oliver, and dumps him into the Lazarus Pit against Ra's knowledge. Oliver is revived, and then must go through training to be better than before, to become a stronger opponent to Ra's Al Ghul, and defeat him. 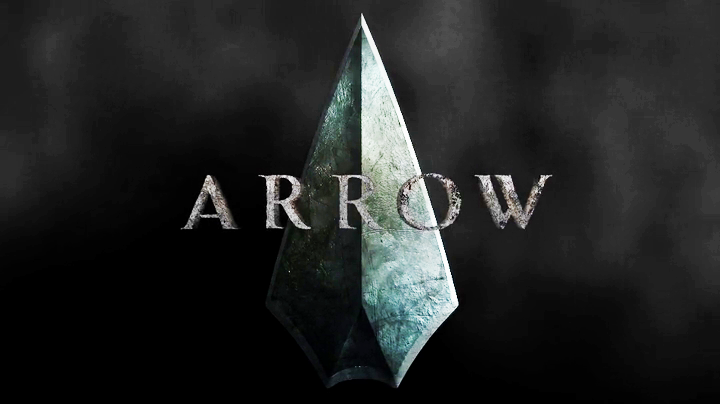 Sure, it sounds kind of fanciful to pull off, but Arrow is being true to the comic book stylings from DC, and is bringing in so many elements. Not to bring in the Lazarus Pit when it is so closely tied to Ra's Al Ghul would be silly, especially when the tidbit of Ra's age was dropped.